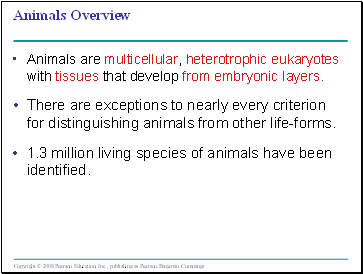 Animals are multicellular, heterotrophic eukaryotes with tissues that develop from embryonic layers. There are exceptions to nearly every criterion for distinguishing animals from other life-forms. 1.3 million living species of animals have been identified. 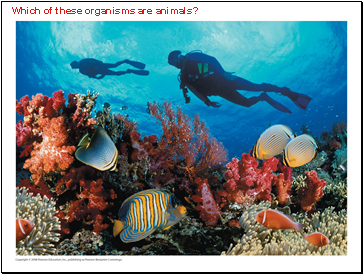 Which of these organisms are animals? 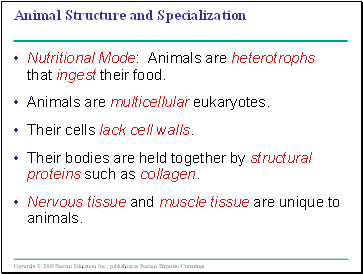 Nutritional Mode: Animals are heterotrophs that ingest their food. Their cells lack cell walls. Their bodies are held together by structural proteins such as collagen. Nervous tissue and muscle tissue are unique to animals. Most animals reproduce sexually, with the diploid stage usually dominating the life cycle. 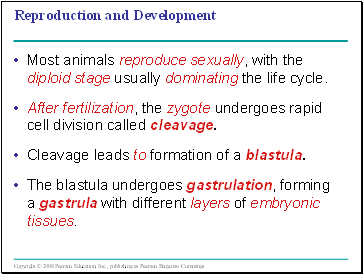 After fertilization, the zygote undergoes rapid cell division called cleavage. Cleavage leads to formation of a blastula. 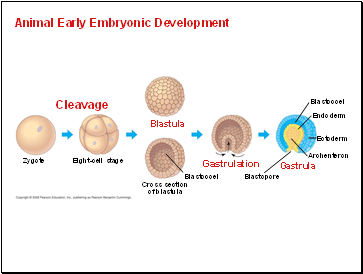 The blastula undergoes gastrulation, forming a gastrula with different layers of embryonic tissues. Many animals have at least one larval stage. A larva is sexually immature and morphologically distinct from the adult; it eventually undergoes metamorphosis. 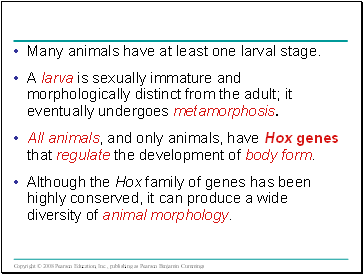 All animals, and only animals, have Hox genes that regulate the development of body form. Although the Hox family of genes has been highly conserved, it can produce a wide diversity of animal morphology. 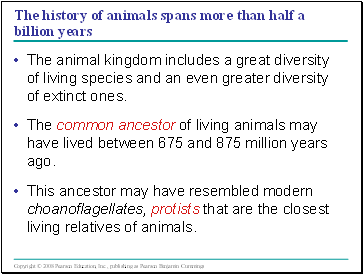 The animal kingdom includes a great diversity of living species and an even greater diversity of extinct ones. The common ancestor of living animals may have lived between 675 and 875 million years ago. 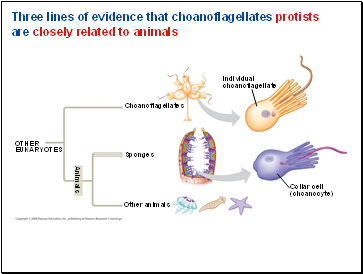 This ancestor may have resembled modern choanoflagellates, protists that are the closest living relatives of animals.